Chop smoked salmon and mix with other ingredients. 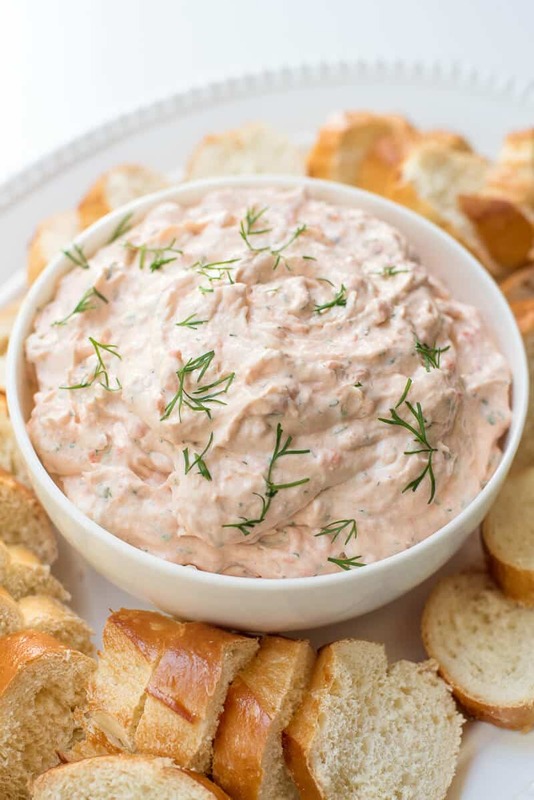 Spread on bagels or toasted baguette slices. Note: You can substitute 1/2 tbs. fresh pickle juice for the fresh dill.